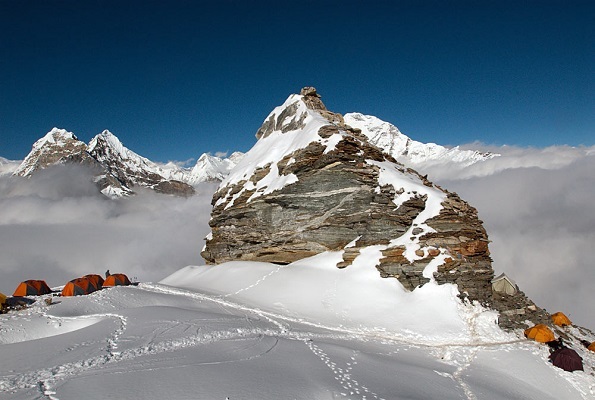 We organize your trip to the last Frontier which takes one and a half days. Departing from Kathmandu in the late afternoon, you fly to Pokhara, one of the Nepal's most picturesque areas known for stunning mountain views. The trans-Himalayan journey to Mustang starts early next day. You cross fertile lowlands and hills draped with rhododendron and other flora. Fantastic views of Macchapuchre (6,994m) - the famous fish-tail peak, Dhaulagiri (8,167m), Tukuche Peak (6,920m) and many other mountains are in your sights. You also fly over the Kali Gandaki River which, lying between Dhaulagiri and the Annapurnas, is the world's deepest gorge. Settlements in the Thak Khoa region dot the way; these tiny hamlets were part of the old salt trade route to Tibet once traveled by Mule trains. Then its on the Jomsom, a windswept Himalayan settlement, and north to the arid land of Lo, leaving the mountain behind. North of Kagbeni is generally known as upper Mustang Which looks similar to the Tibetan plateau with its yellow and gray rolling hills eroded by violent winds. It lies beyond the Annapurna massif and bordered on three sides by Tibet lies the ancient Kingdom of Lo, better known as Mustang. In common usage, the name Mustang refers to the arid Tibet like region at the north end of the Kali Gandaki which is known to its inhabitants as Lo. Upper Mustang is the last of the untouched and ageless lands in the Himalaya, and here you find Lo-Manathang, the only walled city in Nepal. The capital of Lo is named Manthang, which translates from the Tibetan as “plains of aspiration” Mustang’s an unofficial capital, the walled city of Lomanthang has its own King and thus is a Kingdom within a republic country. Upper Mustang. The Land of the Loba people, was closed to non-Nepalese (except for a brief time in the 1950s) until 1992. It is now open for all. Lo is breathtakingly beautiful. The mountain views are stunning. Snow caped peaks covering an area of about 2,000 square kilometers tower over deep canyons, moraine valleys, windswept ridges, old forts and the Lobas - the people who dwell in Mustang. The Lobas are descendants of nomads from Western Tibet and were once ruled by their own raja (king) in this fabled Kingdom. Although the Lobas share many aspects of their customs and religion with Tibetans and Sherpas, there is a unique society. Some say its more Tibetan than Tibet. During your forty five minute stop in Lo-Manthang you see the walls that protect the ancient city, lined with prayer stones and lookout towers. Inside the walls it is a different world: old gompas (monasteries), finely carved wood pillars, beautiful images of Buddhist deities, and fine frescoes-a veritable treasures house of religion and cultures. Mustang is truly Nepal's last Frontiers. Take a flight to Pokhara. It is a 25 minutes flight. first check in to Pokhara hotel and then go around for sightseeing. Visit Davi's fall, Gupteshwor care, Mahendra gorge, Mountain museum and finally relax in lake side. We pick you from your hotel to transfer to airport. Your Private Heli tour generally take off in the morning. 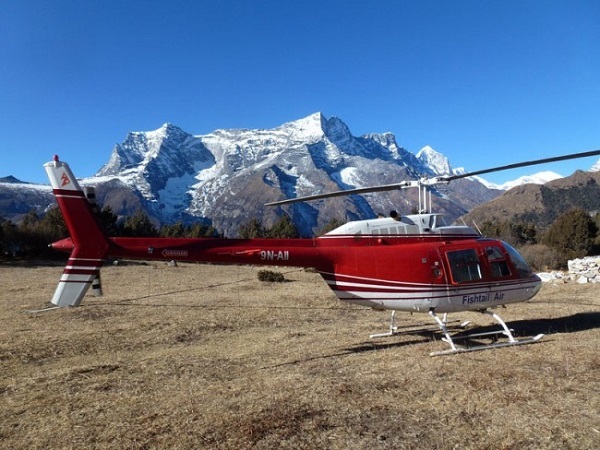 After Back from Heli tour, we fly back to Kathmandu or optionally you can prefer to stay back in Pokhara. -- Inclusions and Exclusions are adjusted according to your choice. Plz, contact. 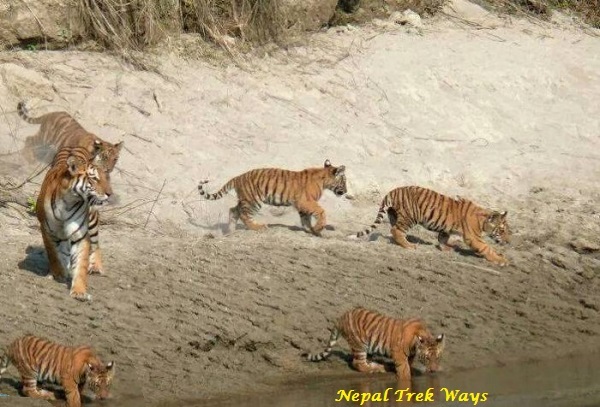 Jungle safari is a beautiful combination you may choose to extend with Nepal Treks and Tours. Depending on your time, budget interest, it is possible to combine jungle safari in one of the following National Park. 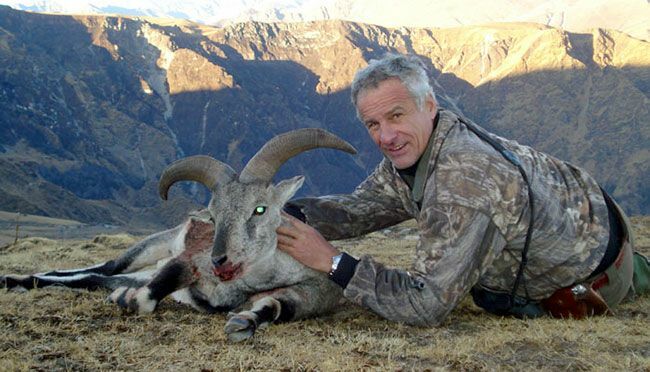 In Nepal Jungle safari is a beautiful combination you may choose to extend with Nepal Treks and Tours. Depending on your time, budget interest, it is possible to combine jungle safari in Bardia National Park. Below is the details of the National Park. 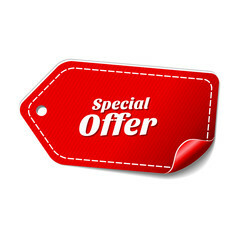 Go through the text or contact us for customizing your trip.